To support outstanding scholars (normally full professors at Canadian universities and research institutes) to carry out groundbreaking projects in the humanities, social sciences, natural sciences, health sciences, engineering and interdisciplinary studies within these fields. Killam Research Fellowships provide two years of release time from teaching and administrative duties to individual scholars who wish to pursue independent research. The fellowships are awarded to individuals, but the funds are paid to and administered by universities or research institutes. Please note that this award is not intended as a subsidy for the overall research or teaching program of a department, institute or centre, and it is not offered for work undertaken as part of a degree program. An individual may win this award only once. Killam Research Fellowships provide release time and are valued at $70,000 per year for a two year period. The funds are paid to the university or research institution which employs the Fellow. Fellowship recipients must obtain support for research and laboratory costs from other sources. The university or research institution that employs the Killam Research Fellow is expected to relieve the researcher of all teaching and administrative responsibilities, and to continue to pay the Fellow’s full salary and benefits during the full tenure of the fellowship. The fellowship funds assist the university or research institution in defraying the costs of replacing the Fellow, and in paying the Fellow’s salary and benefits during the two-year fellowship period. NOTE: Please submit a hardcopy of your application and ORS checklist to the Office of Research Services (ORS) AND submit your application through the Killam online portal by Monday May 13th 2019, 9:00am, so that ORS can electronically approve your application and mail your paper format documents to the agency by the Wednesday May 15th 2019 deadline. The cover letter (signed). The cover letter can only be generated/printed after you have electronically submitted your application through the Killam online portal. For permanent residents only, evidence of your intention to stay in Canada after the period covered by the award. If you are a permanent resident, you must present a confirmation from your university or research institute that you have a firm appointment. 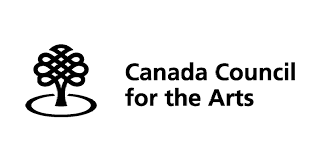 For complete information on the Killam Research Fellowship, please consult Canada Council’s web site at: https://canadacouncil.ca/funding/prizes/killam-research-fellowships.